There are some fantastic gems in the region around Mount Isa that are also worth experiencing. 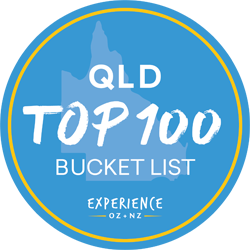 Most are just a short drive out of Mount Isa. Camooweal is located just 14km from the Northern Territory border on the Barkly Highway.Visit the historical Drovers Camp Shed and just out of town the Georgina River then 24km south the spectacular Camooweal Caves. Adel's Grove is an Eco-sensitive tourist park on Lawn Hill Creek, located 10km downstream from Boodjamulla National Park. For more information, drop into the Visitor Information Centre, and our friendly staff will help you to plan a trip.